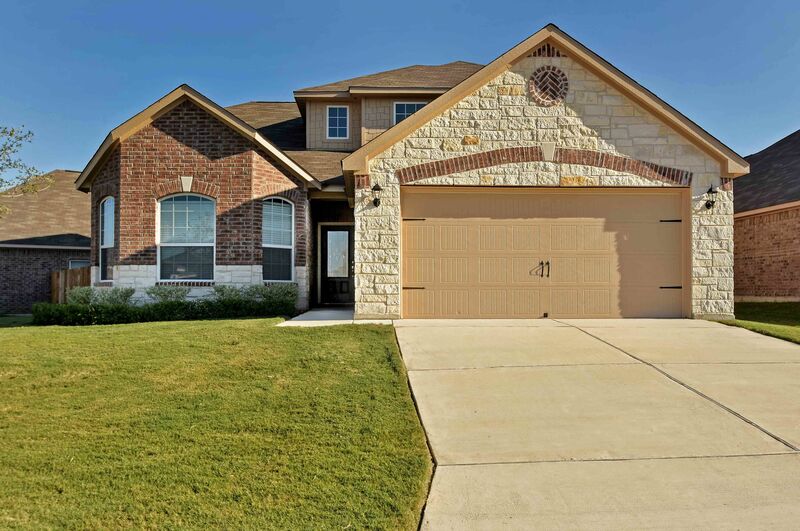 If you are looking for a new home in the vibrant city of San Antonio, look no further than Luckey Ranch. LGI Homes at Luckey Ranch gives you the best of two worlds: the fun and excitement of San Antonio's best dining, shopping and entertainment, and the comfort and convenience of beautiful new homes in a spectacular new community. Even more exciting, new homes at Luckey Ranch are now available for No Money Down. This brand new master-planned community is just a short drive from Lackland Air Force Base, Sea World, and the Toyota manufacturing center. Luckey Ranch offers residents a sparkling new neighborhood that has been designed especially for today's busy and active lifestyles. Family-style recreation is just one example of the attention spent on the needs of residents. A $2 million Recreation Center was just recently completed and will be available for families to enjoy soccer, baseball, basketball, picnics, 3 children's playgrounds, splash pad and large fishing lake with walking trails. Every LGI Home is designed with upgrades worth thousands of dollars, such as designer wood cabinets, all new kitchen appliances including refrigerator, fenced backyards, landscaping, and a homeowner warranty. Also, every new home we build comes with raised six-panel doors, brushed nickel hardware and fixtures, rounded corners, and vaulted ceilings included in the sales price. Luckey Ranch is an affordable, family-friendly community. Call LGI today, and one of our New Home Consultants will help make your dream of homeownership come true.